At Air Master Systems we offer a wide varied of standard fume hood products, but we build custom products every day. We lead the fume hood industry in innovation and quality. 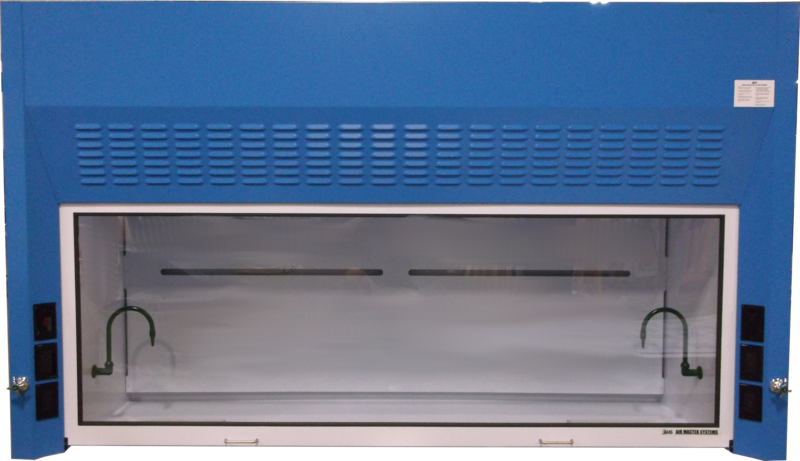 Our extensive line of standard fume hoods is available in a wide variety of sizes, colors and specifications. But when the standards don’t fit, we build to suit. We have the engineers, facilities, and experience to build custom fume hoods that fit your requirements without compromising safety. Please contact the sales representative in your state for further information. Customized 100 Series airfoil hood with full polypropylene liner and integral work surface. All wetted components are polypropylene.